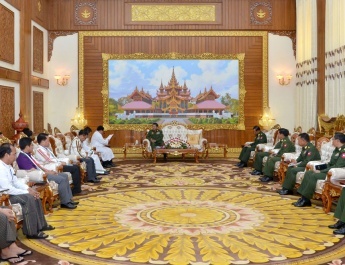 Commander-in-Chief of Defence Services Senior General Min Aung Hlaing, currently in Beijing to pay a goodwill visit to China at the invitation of member of the Central Military Commission of the People’s Republic of China and Chief of the Joint Staff Department of the People’s Liberation Army Gen. Li Zuocheng, accompanied by senior military officers of the Office of the Commander-in-Chief, Myanmar Ambassador to China U Thit Linn Ohn and Myanmar Military Attaché (Army, Navy and Air) Brig-Gen Tint Hsan, paid homage to the sacred Buddha tooth relic at Ling Guang Si Temple this morning. 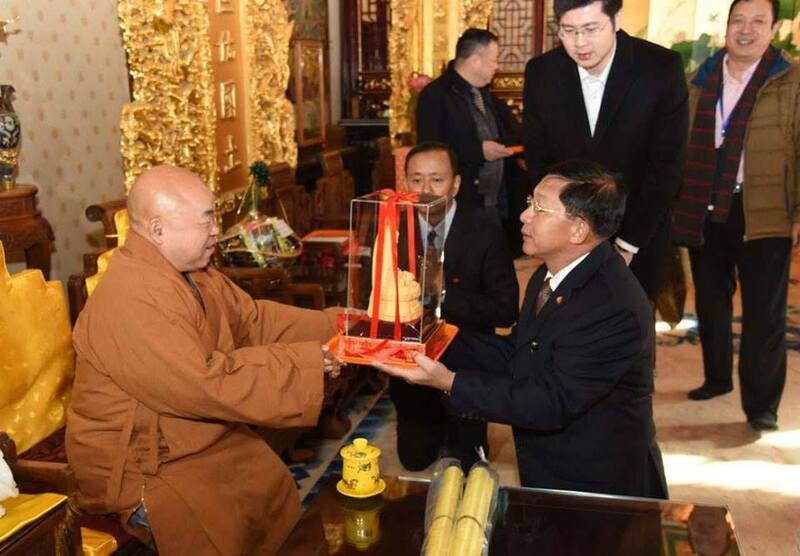 On arrival at Ling Guang Si Temple, the Senior General and party paid homage to deputy abbot of the temple Yan Dao and donated a Jade Buddha Image, offertories and cash for nine pre-requisites. 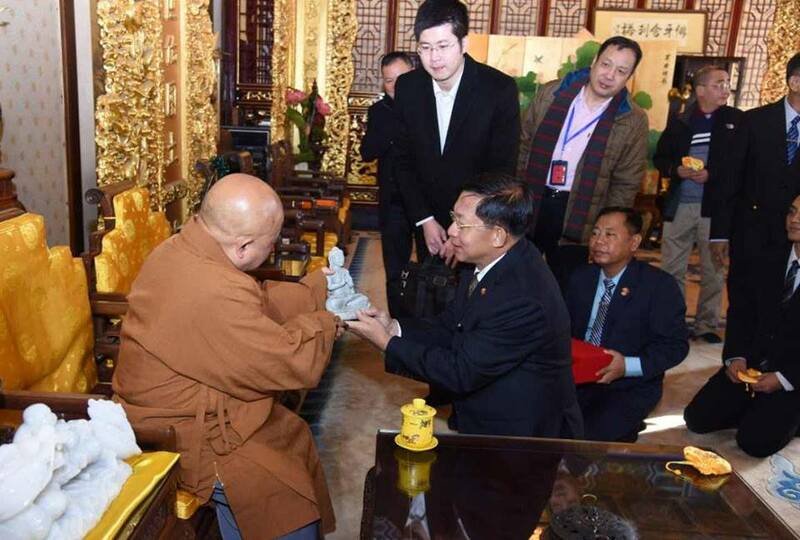 The deputy abbot gave a Buddha image as a Dhamma gift to the Senior General. Then, the Senior General paid homage to the sacred Buddha tooth relic after offering flowers, water and fruits to the Buddha Image in the sacred Buddha tooth relic pagoda. 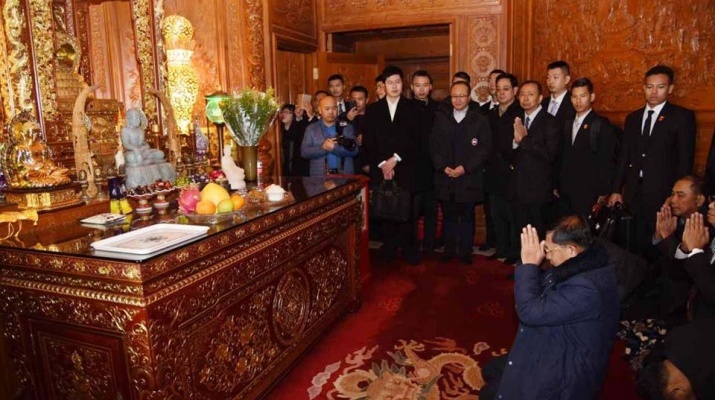 Next, the Senior General and party visited Ling Guang Si Temple. Sacred Buddha Tooth Relic is kept on western mountain range of Beijing. 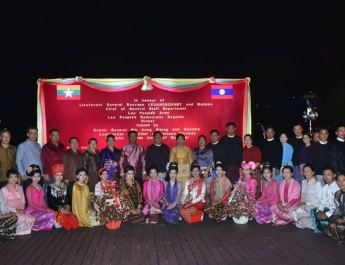 It is one of two sacred tooth relics of the Lord Buddha. The sacred Buddha tooth relic pagoda, 21 metres high, is built with 13 tiers in the eight-dimension shape. The sacred Buddha tooth relic is kept in the chamber in the pagoda.